I started writing about the Lyme Tick from Lyme, Connecticut years back. Ho Hum, not much in the news these days but it is a major threat-I have been infected by the bacterium carried inside the Lyme tick twice. There are a hundred varied ticks and all carry some sort of toxin, some fatal-some just big itchy bite marks. They are all bloodsuckers, hatching in the spring and surviving the following winter to attain adult status. Snow packs do not kill them off as the snow keeps them dormant but warm enough to survive. You need an icy cold miserable winter to kill off most of them. The most NEW TICK on the weeds is a Canadian discovery some decades ago. Not much was recognized about this new variety-the POWASSIN TICK- AKA: BLACK LEG TICK, until recently, as it has been carried by animals into the United States and has reached Lyme Connecticut. At that rate prep up as it will be here in Appalachia before long. What is interesting is that this tick carries a VIRUS as well as the LYME BACTERIUM- a double ”whammy” and it can be lethal. About 10-15 people have already died. The symptom, similar to LYME BITES is it can kill you in minutes. This ought to get you thinking about walking in the weeds, children playing outside and hikers. Do not forget Fido who will bring dog ticks as well as our POWASSIN tick inside. The best protection when outside: is DEET. The military standard is 30%, commercial varieties that I have range upwards of 70%. This can be applied directly to the bare skin, so says the labels. So far I have been OK. Fog the grass spraying with PYRETHRUM, sold in liquid form. Grow CRYSANTHEMUM around the doorways and gardens is a safe bet. There are toxic cancer causing chemicals available: Malathion is one of them. 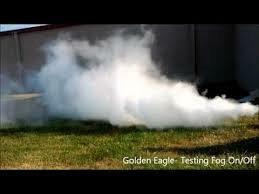 I use a CURTIS DYNA-FLOW HURRICANE Fogger-Model 2000, filling it at 50% Pyrethrum Insect killer, harmless to mammals. However this fogger puts out so much fog to kill white flies in my greenhouse I must use an N95 facemask. Were you to spray the weeds this is what you want-not the little bottles. I also use this to disinfect my chicken house with a virus killer with our chickens outside. I also wear high boots, mostly for ankle support, tucking the trousers in the boot tops. Long sleeve shirts and gloves make my day. Then I spray DEET all over my clothing. If you are a young married, tick checks are fun. Children must be checked for ticks. Dogs must be checked also. If symptoms as listed below, in the attached excellent link, appear, hotfoot it to the EMERGENCY ROOM. 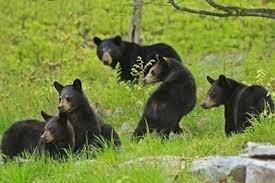 I think Bears will be my next topic as they are becoming more plentiful, and also dangerous. A change in the USA demographics	Lions, Tigers and Bears…Oh my!